If you’re looking for Halloween crafts to make with your kids, you won’t want to miss these spooky crafts! You and your little ones will love these kid-friendly Halloween DIYs! There’s something everyone can make this October. Our house is filling with all kinds of Halloween crafts this month. I’m loving having another reason to pull out my craft supplies and Lily is loving all of the fun projects we’re creating. 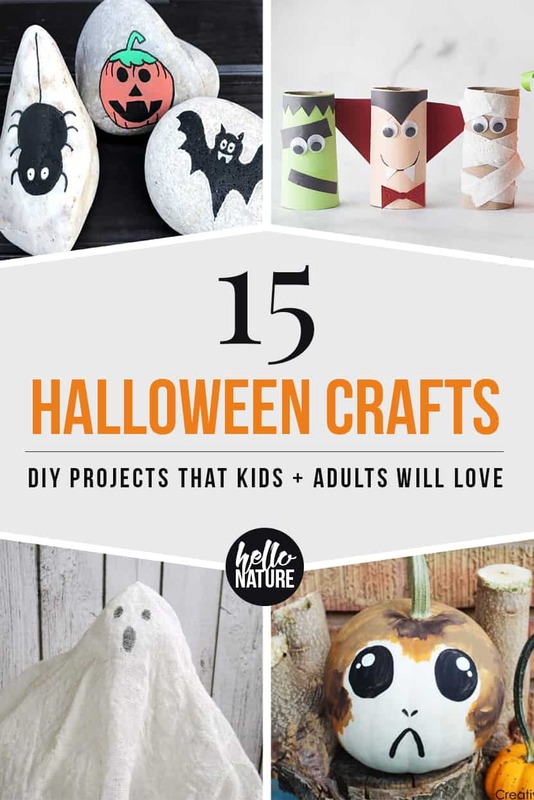 If you’re trying to find DIY Halloween crafts for kids as well, I’ve got 15 crafts you can make with or for your little ones this Halloween below! And if you’re looking for other Halloween ideas, be sure to check out this DIY Edible Slime with Gummy Worms, these Halloween Board Books, these 9 DIY Halloween Costumes for Kids, these 31 Halloween Movies for Kids, and these Recipes To Make With Leftover Halloween Candy. This easy balloon pinata is super easy to make and is a ton of fun for children to help design. Plus, they’ll get to enjoy using it after it’s been created! Great for a Halloween party. If you loved this porg merchandise or these Star Wars costumes for the whole family, you’ll love this simple to make porg pumpkin design. We’ll be making one of our own this year with a craft pumpkin, but it may stay up well beyond Halloween! Painted rocks are a great way to tell stories to your kids and have them create stories of their own. How about making a Halloween themed story with these fun Halloween painted rocks? 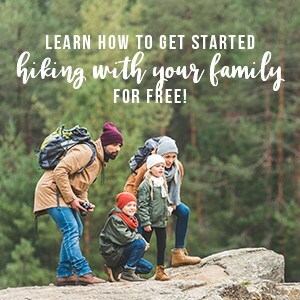 This activity is great, even for the littlest ones. Just a few stickers, some string and paper plates and you’ll have a super simple Halloween wall hanging. Slime is always fun, but Halloween slime is even better. With just a few supplies, you can recreate this gooey fun for your toddler or young children to play with all October long. These fist bumpkins may be one of my favorite ways to remember this spooky holiday. We’ll be creating our own this year because this is such a fun project! Fill your house with cheesecloth ghosts this October with this super simple DIY! Your kids can easily draw on the faces and help shape them. Cardboard boxes can make some of the most enjoyable toys for kids and this haunted house craft is no exception. With just a few supplies, you and your child will be able to build the perfect Halloween haunted house. What a fun way to repurpose what would otherwise just head to the recycle bin! Have your kids help decide what jars/containers to use and then help decorate them for some fun Halloween decor this year. There’s a good chance you already have the supplies for this fun Halloween kid craft on hand. Your kids will be able to make their own Frankenstein craft in no time! I love this upcycled Halloween craft! You can easily use your toilet paper rolls or paper towel rolls to create this paper craft with your kids with just a few other supplies. Whether you use clothespins for clothes or for keeping bags closed, this is such a fun way to change these clips up for this trick-or-treat holiday! Great for those bags of candy. Kids will love making this fun and easy mummy craft! This would be great for your porch or around the house for some ambient lighting. Need a fun felt craft for October? These felt monsters are great for little ones to help design and play with! They’ll be able to use their imagination to dream up all kinds of shapes for their monsters. 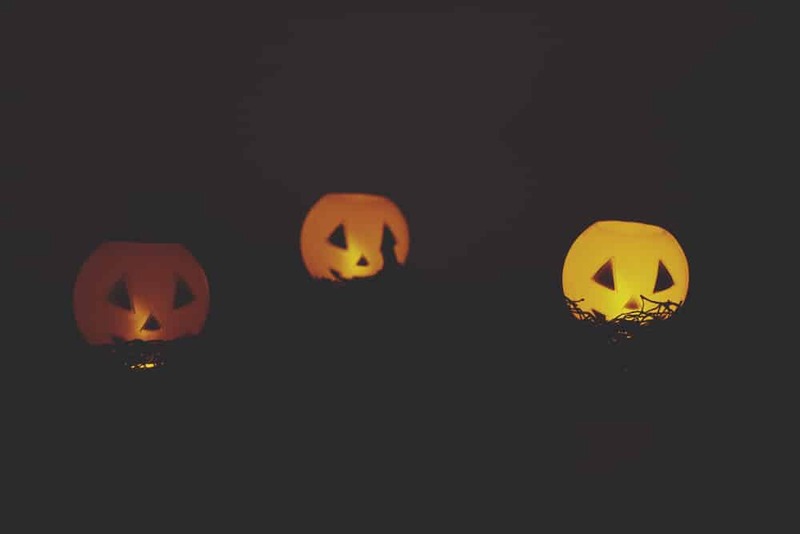 This flameless jack-o-lantern DIY is easy to do with kids. Pair it with the haunted house for some extra spooky decor! Nathan is the other half behind Hello Nature and The Gnarly Whale. He spends his time outside of work cooking, playing video games, and enjoying the great outdoors.